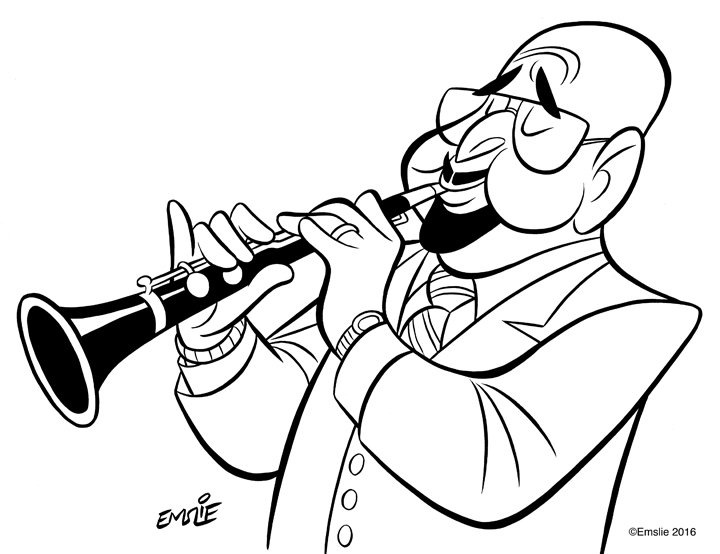 I was very sorry to hear that we lost the legendary Dixieland clarinetist, Pete Fountain this past Saturday, August 6th at the age of 86. I grew up listening to Pete’s music when I was a kid, as my dear Dad was a huge fan and played his jazz records regularly on the family hi-fi. In my Dad’s opinion, Pete Fountain was right up there with Louis Armstrong when it came to playing Dixieland jazz. Though I was quite young at the time, I loved what I heard and I inherited my Dad’s taste in “hot” jazz music. I remember when I was a teen in the 1970s, Pete Fountain used to make regular guest appearances on Johnny Carson’s Tonight Show, where he would play an extended jazz session alongside Doc Severinsen and the NBC orchestra. Pete was a native of New Orleans, and I know he was often called upon to participate in the annual Mardi Gras parade. I’m sure that the people of New Orleans are now mourning the loss of one of their favorite sons. RIP Pete Fountain. Here's a clip of one of Pete Fountain's guest appearances on The Tonight Show! And if that wasn’t bad enough, I also learned that we lost Ricci Martin, son of the great Dean Martin on that same day as well. Ricci’s death was particularly tragic, as he was only 62. 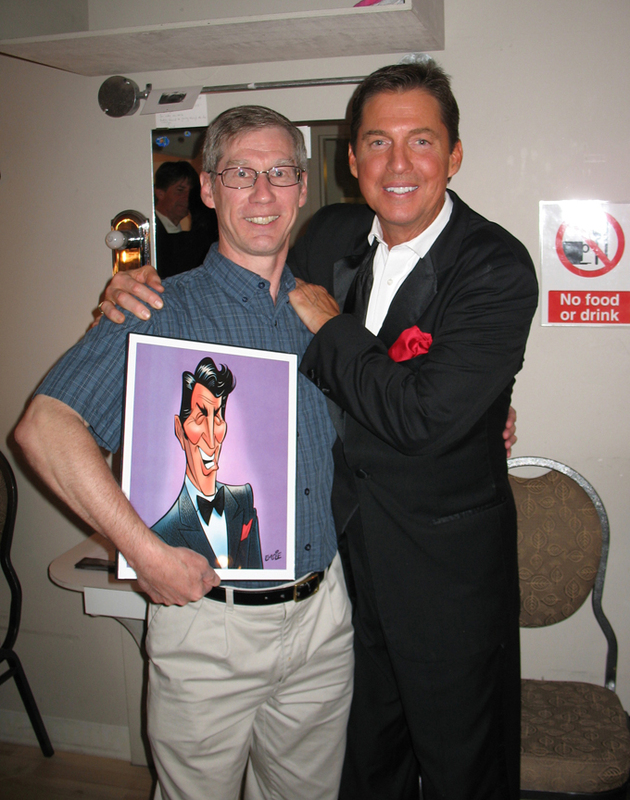 In recent years Ricci Martin had brought his touring show entitled A Son Remembers- Dean Martin’s Music and More to Mississauga’s Stage West hotel. My Mom and I had seen him in performance on two different tours there, and I had gotten to meet with him and present to him a caricature I did of his famous father. Ricci was a very dear guy, very gracious and generous with his fans, and I wrote about having met with him in an earlier blog post. I am heartbroken at his untimely passing, and I send my condolences to his family. I’d like to dedicate this post and caricature to my late father and mother, John and Ann Emslie, for their instilling in me a love of great music. Thanks, Mom and Dad - I love and miss you both very much!